We call it “The Original” because it was the first green tea concentrate. It’s still the best. Our secret formula features over 90 percent polyphenols, half of which are the potent epigallocatechin-3-gallate, or EGCG. 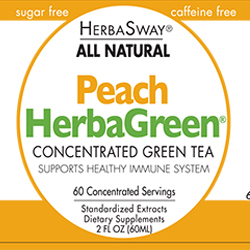 A single serving of HerbaGreen Tea provides over 90mg of polyphenols—as much as 15 cups of the strongest green tea that can be brewed. Each bottle contains 60 servings. 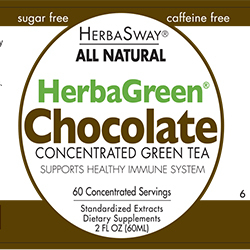 HerbaGreen Tea is sugar free, caffeine free, has zero calories, and tastes great. Also available in flavors. 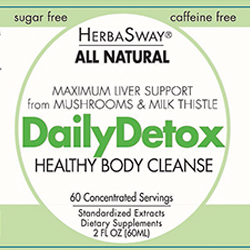 Daily Detox* is a patented formula designed to nurture and detoxify your liver, fight free radicals and help support your immune system. This powerful combination includes the beneficial mushrooms: Reishi, Cordyceps, Maitake Thistle, and Goji Berry. Our most popular special blend. This blend of antioxidant-rich berries helps support healthy eyes, memory and skin. Blueberry supports cognitive function and helps delay premature aging of the brain and central nervous system. 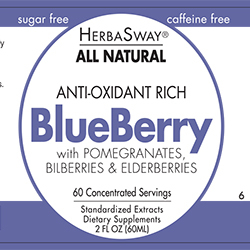 The antioxidants in blueberry promote and maintain a youthful appearance. Great for kids! Chocolate Guilt Free Formula is a liquid infusion of pure cocoa powder loaded with anti-oxidants. Chocolate helps fight free radicals and premature aging while promoting healthy, radiant skin. Great for children as a healthy addition to ice cream, yogurt, smoothies or wherever you want great chocolate taste without the calories. Our secret formula features over 90 percent polyphenols, half of which are the potent epigallocatechin-3-gallate, or EGCG. A single serving of HerbaGreen Tea provides over 90mg of polyphenols—as much as 15 cups of the strongest green tea that can be brewed. Each bottle contains 60 servings. 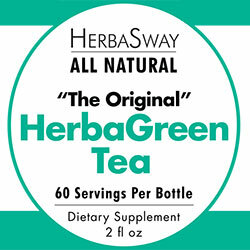 HerbaGreen Tea is sugar free, caffeine free, has zero calories, and tastes great. 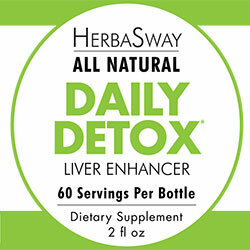 Please note that variations in the natural ingredient’s colors may cause color variations in HerbaSway products.